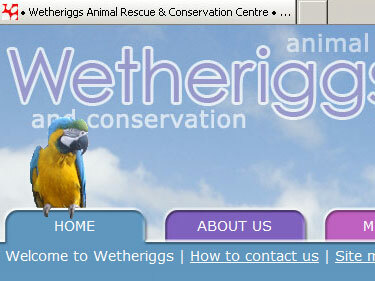 Wetheriggs Animal Rescue & Conservation Centre, based near Penrith in Cumbria, cares for a range of animals including water dragons, birds, pigs, pygmy goats, burmese pythons, Macaw and land snails. I volunteered to design and build a new website for the centre after realising their previous site was no longer available online. The new site was released in January 2009.